When we were kids in the 1940s, we went to St. Rose School and were taught by the St. Joseph nuns. The big secret was that one of the nuns was Louis Prima’s sister. We had no idea who he was at the time, but he was divorced and, like all sins – there were plenty back then – they always spelled it in front of the kids. Then the war ended, we got older and forgot about it. Years later, a few of us were together and it came up and we said, “I wonder if that nun was really Louis’ sister?” So maybe you and Poydras could answer it for us. Don’t remember what her name was as a nun, so I can’t help there. 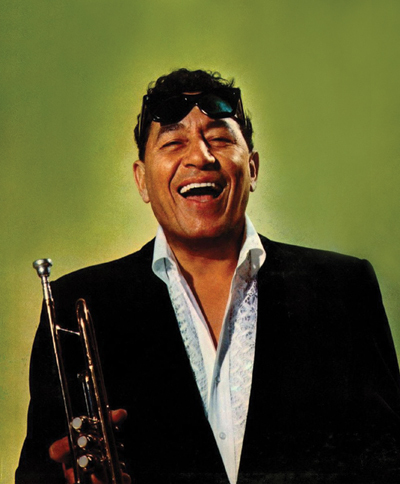 The nuns may have been scandalized by Louis Prima’s 1936 divorce from wife Louise Polizzi, but they must have been even more morally outraged that the singer eventually married a total of five times before his death in ’78. Wife number five, Gia Maione, survived him, but all of Prima’s four previous marital unions ended in divorce. While celebrity gossip sometimes makes its way into the schoolyard, there was another reason why New Orleans-born Prima’s personal life would have been whispered about at your school – his sister was Sister Mary Ann, who taught at St. Rose. Louis Prima’s sister, Elizabeth, took the name Sister Mary Ann when she joined the Sisters of St. Joseph, the order of nuns who taught at St. Rose School. A lifelong resident of New Orleans, Sister Mary Ann died April 5, 1979, at the age of 67. Following a Requiem Mass celebrated in the chapel of the Sisters of St. Joseph’s convent on Mirabeau Avenue, she was laid to rest in St. Louis Cemetery No. 3 on Esplanade Avenue. My dad has used the words “neutral ground” and “banquettes” many times when we review their “old days” living in New Orleans. What is the origin of those words? Are they still used by locals today? Although “neutral ground” has come to mean the landscaped center portion of any divided thoroughfare, it originally applied specifically to the center portion of Canal Street, which was the dividing line between the old city and the newly emerging suburbs. Originally reserved by Congressional authority for construction of a canal, the 50-foot-wide section in Canal Street’s center never did become a canal but was neutral ground separating areas that were, from 1836 to 1852, separate municipalities with their own wards and governing authorities. The term “neutral ground” remains in common usage. “Banquette” is a French word seldom heard these days, but it was once a familiar term among French-speaking locals. It means “sidewalk.” In modern Parisian French, “banquette” is defined as a bench or seat, but it can also mean a path along the side of a canal or a rail line. I was pregnant with my first child in 1966. I signed up for a newsletter I believe was available from the State of Louisiana. Pierre the Pelican was the mascot. It was full of information and tips to help a new mother. It was most helpful. I looked forward to receiving it. I think it was mailed once a month. Can you tell me if the program was terminated and, if so, do they have anything like that today? Long before a certain Pierre the Pelican gained notoriety as a basketball mascot so creepy-looking that fans demanded his redesign, another Pierre was a household name. This kinder, gentler and earlier Pierre the Pelican gained international fame for offering sage advice to first-time moms and parents-to-be. Dr. Loyd W. Rowland (1902-’81), director of the Louisiana Society for Mental Health, created the “Pierre the Pelican” pre-natal newsletters in ’47, just as the post-war baby boom was starting. Illustrator Betty Cobb produced the quaint line drawings that accompanied the newsletters. It was Rowland’s belief that the key to preventing mental illness throughout life was to start early, providing mental health education during a first-time mother’s pregnancy. In this manner, first-time parents might create a healthy child-rearing environment and avoid inadvertently harming their child or themselves due to ignorance or inexperience. An immediate success, the “Pierre the Pelican” pre-natal series was updated and expanded to include early childhood care. Styled as an experienced old bird who, with his mate Pierrette, had successfully raised many broods of young pelicans, Pierre was quite a bold fellow willing to frankly discuss delicate topics with humor and candor. Though information and gentle reassurance, the old bird did his part to help new parents recognize and address in positive ways the mental health issues that accompany pregnancy and parenthood. During its 55-year run, the “Pierre the Pelican” newsletters migrated far beyond the series’ native Louisiana. Quickly picked up by health education programs in Georgia, West Virginia and Connecticut, the newsletters would eventually reach audiences in 20 states and four foreign countries: Italy, Germany, Hungary and Turkey.